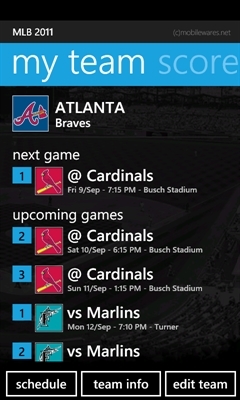 The perfect app for dedicated Major League Baseball (MLB) fans! 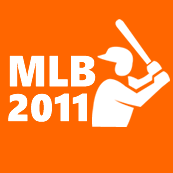 Keep track of the current 2011 Season - complete with round-by-round and team schedules, live scores, team/player stats/rosters, AL/NL/WC standings, latest News (for both the entire competition and your team). Nb: Above rankings/awards for 'MLB 2011' are at time of updating this page.